Make the most of your garden with these recipes. I’ve never cared for the taste of kale, but rumor has it these chips taste just like, well, chips. If that turns out to be true, I think the kale enthusiasts may have found another convert. Nothing says “spring” like the taste of fennel, though it can be a tricky herb to grow with a relatively short opportunity for harvest. 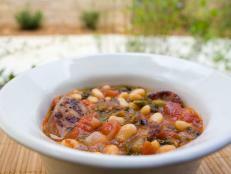 If fennel is available in your yard or farmer’s market, seize the day and make this dish! 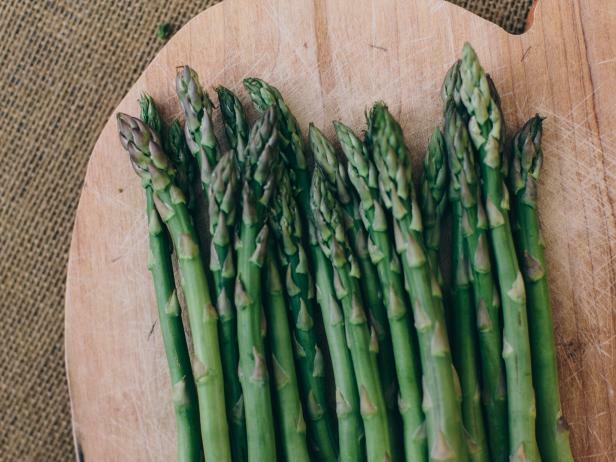 Asparagus is a spring favorite. Good thing I love it almost every way imaginable: steamed, roasted, grilled. And, hello – crumbled with Parmesan-flavored topping? Sign me up. 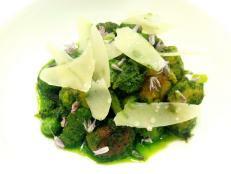 What interested me most about this dish is that the rhubarb takes center stage. There’s no strawberry or other fruit, just…rhubarb! 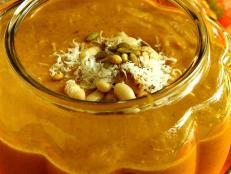 Dig into this sampler of seasonal favorites and find a spring soup that suits your tastes. Tender asparagus tops get cooked in hot water, shocked in cold water and added to this savory springtime salad. 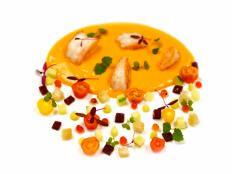 Gazpacho is a Souper Spring Dish! 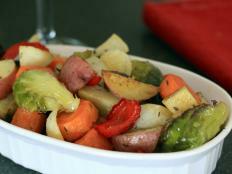 Bowl your guests over with this veggie-packed recipe. 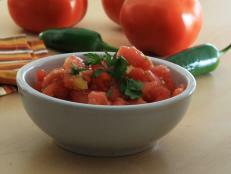 This salsa recipe takes little effort and there’s no better way to bring the fresh flavors of the garden together with such versatility. 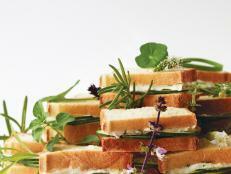 Celebrate the garden with sandwiches incorporating fresh herbs, cucumbers and perfectly hard-boiled eggs. 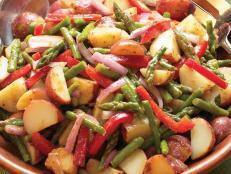 Bring out the fabulous flavors in garden vegetables through roasting. Whip up a satisfying batch of comfort food. 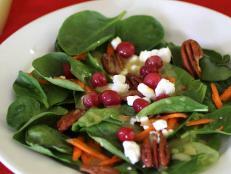 Spinach topped with pecans, cranberries and maple vinaigrette puts fresh salad back on the table this winter. Summer pastas don't have to be cold to be light and bright. 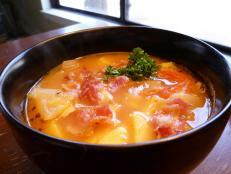 The quintessential fall pasta dish inspires a soup with similar flavors.